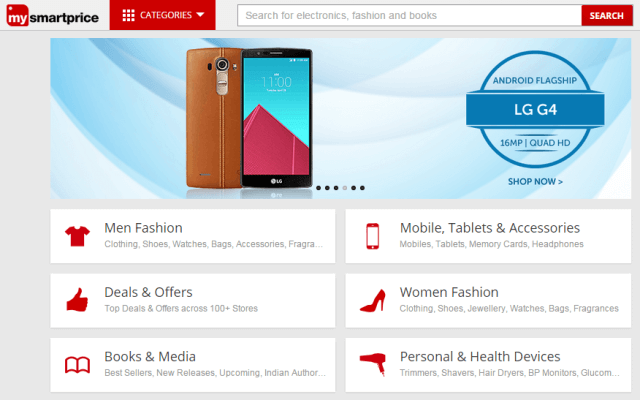 Do you want to save money while shopping online in India? Learn – what is the best Website to compare prices of Mobiles, Laptops, and Tablets etc online in India? A couple of years back when online shopping is getting started many people have different types of opinions, whether it’s secure or not guaranteed these types of questions strikes everyone’s mind first. But with the time passing online leading e-commerce site made a mammoth impact in your daily lifestyle. At this present time nearly everyone shops their needs from popular online shopping sites and it’s became a trend for everyone. As they provide good discounts for better purchasing without breaking your bank. Progressively tons of new e-commerce websites are forthcoming with fresh pieces of stuff and exciting discounts. Normally, when customers decided to buy something online they generally visit the comparing site to get best out of it. There are so many sites that provide the price comparison facility of mobiles, laptops, tablets etc. So people usually get confused about which site they should use to get the best deals while shopping online. Don’t agonize we’ve got the answer for you. Today we have picked the top 6 websites to compare prices of mobiles, laptops, and tablets etc before paying for the best purchase. All these price comparison Websites are extremely popular among those users who want to save money while shopping online in India. Whether you want to compare mobile prices, compare laptop prices or the prices of any online gadgets, these online shopping price comparison websites always help you to grab the most profitable deal while shopping online. MySmartPrice is standing top of my list. And it is one the most dependable site to compare costs of different products on different types. This website offers every product with reasonable price. MSP has approximate prices of every mobile, laptop and they are positioned according to the makers they belong to. MSP is totally user-friendly and you can get your product using two methods. Either you can surf through their categories or type your desired product name on that search box. Therefore, this site has split pages of marvelous deals in which you can see the best deals available on that stuff. We personally use this site for evaluating different product’s price and always satisfied with the results too. And it is second best comparing site in our view. And when it comes to CompareRaja user interface it simply outclasses his fellow competitors. It also shows you the fresh products costs and where you can get that at the cheapest price tag. Another best fact about this site is you can leave your email id and the targeted amount, when the product reaches the price set by you then they will quickly send a mail to your email so, that you can get buy the product based on your choice. They always have some interesting compared deals on their site. Just join them and get some bonus saving and free gifts. The name is quite funny, isn’t it? But let me tell you MakkhiChoose is not a price comparison website it’s a plugin/extension for web browsers. MakkhiChoose notifies you on a shopping page on a website along with others the lowest price of that product available on the web. MakkhiChoose is available for Mozilla Firefox and Google Chrome that support Indian buyers only. At this time, this plugin dragging results from 8 popular sites, and they are homeshop18, Flipkart, snapdeal.com, Naaptol, IndiaPlaza etc. Yet another brilliant price comparison site with exceptional features. The user interface is eye-catchy for impressing many users. While you are surfing on SmartPrix it offers you to compare 5 different devices at the same time without any error. At any time, you are comparing multiple mobile phones in same time SmartPrix ranks them in numbers and displays their scores of every mobile, so you can get the preeminent result. If you are going to buy a smartphone but stuck between two options then we strongly recommend you to use this site. We have all seen the existing ads of Junglee. In recent times, Junglee becomes very popular as an e-commerce among thousands of online buyers. It lets you compare the costs of electronics, clothing, shoes, watches, movies, books, toys, sports equipment’s and so on. Junglee is a product of Amazon Inc which helps Indian consumers to get the best deal based on their preferences. Junglee has 1.2 crore products over 14000 excellent and enormous brands. This is one of the trustworthy sources for getting everything related to mobile phones. 91 mobiles.com offers a full portrayal of the phones you want to irrespective of the company along with their specs, features, review, videos, photos and price verdicts. Plus, this site provides you link for buying the phones from leading e-commerce stores at discounted price. In simple words, it can be said that 91mobiles.com is the most appropriate price comparison website to compare mobile phones with prices and specifications. I am quite sure, this list post tutorial helped you to appropriately find some best online shopping price comparison websites in India for Mobiles, Laptops, and Tablets etc. You must use these popular Websites that compare prices in order to compare laptop or Mobile Phone Price in India. Please, feel free to share with us through comments if you are currently using any other popular price comparison websites for comparing the prices of mobile phones, laptop, and tablets etc before buying online. Also consider to add new website for mobile phone prices in india, It has many features like, detailed specifications, price comparison, mobile deals & coupons, mobile news, ask questions and many more, Kindly add it to your list. Thanks they are good website, you can also consider adding new website where you can compare mobile, Electronics, Appliance, Computer price in india at mr10q Price Comparison website, which lets you search the best products across a wide range of categories. you can also compare price of its variants even if its sold by different sellers on same online website, check reviews of same product given of different online website, detail specification of products etc… all at one place.